The fees for photographic work at the Folger Library partially cover the cost of materials and overhead. 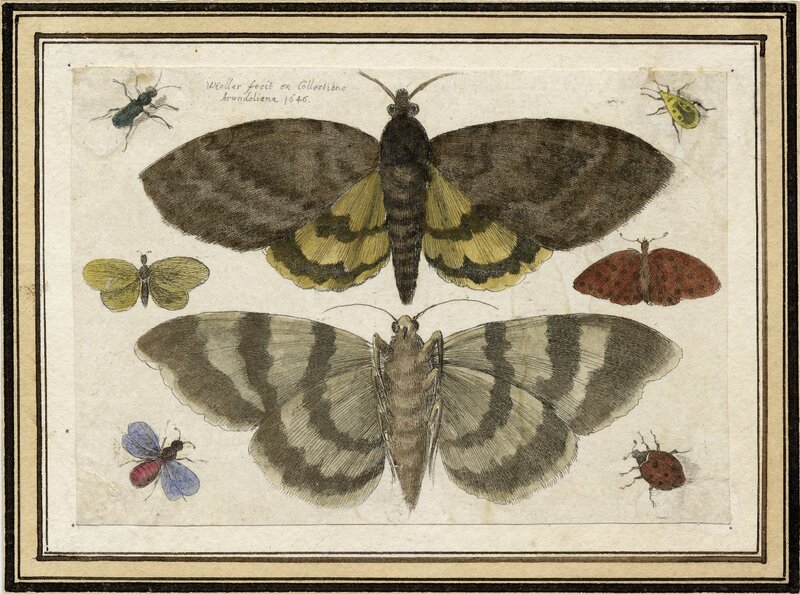 Two moths and six insects, 1646. [Two moths and six insects] [graphic] / W. Hollar fecit ex Collectione Arundeliana, 1646.